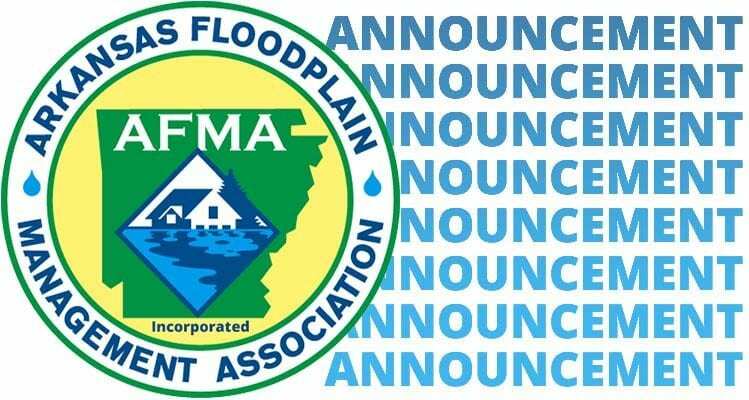 Registration Open for CRS User’s Forum & Workshop - Arkansas Floodplain Management Association, Inc. The Northwest Region of the Arkansas Floodplain Management Association is hosting a CRS User’s Forum & Workshop on February 12th, 2018, weather permitting. There are 55 seats available due to capacity limitations. Registration is now open for for this FREE event. The first 55 people to register will claim the seats. Lunch will be provided at the City of Springdale Multipurpose Room on-site. Registration is required to receive lunch.